Spring is finally here! Which means warmer weather, longer days and gardening. 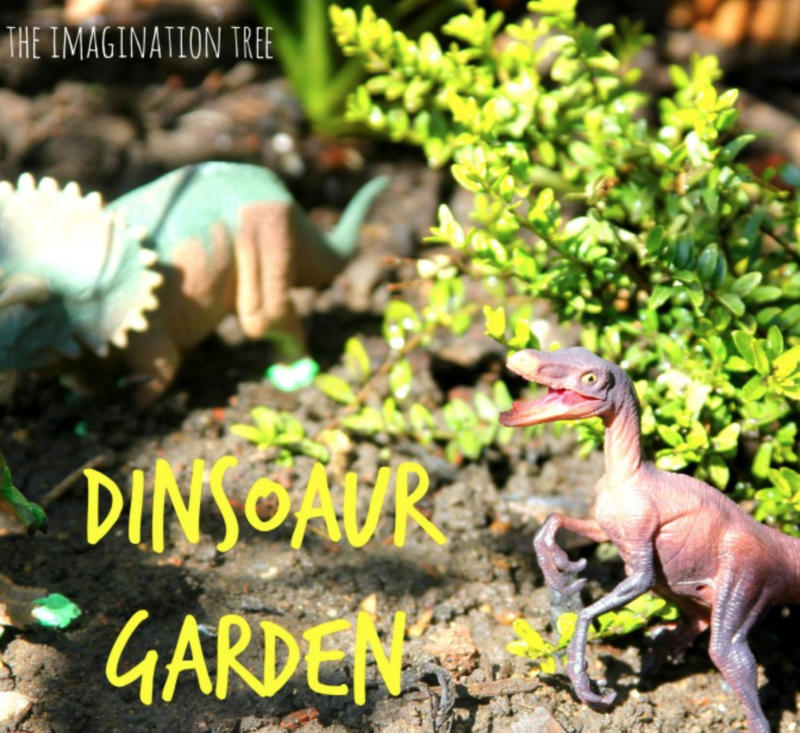 Gardening can be a fun way to get out of the house and get into the sun! With so many different types of flowers, bushes and trees to choose from, how can you know which ones are right for you and your garden? Here are a few helpful tips on choosing the right plants for you! Seems simple right? Maybe even kind of silly. But deciding on your color scheme is the one of the first steps in planing your garden! We usually recommend a max of three colors in a single garden bed. Or if you are feeling a little bit more on the wild side, totally feel free to chose more colors or less! It's your garden, you decide! Here is the second step. Try varying the shapes, sizes and textures of plants when planning your garden. Add a little dimension and interest! Tall and thinner plants, like evergreens, add interest between shorter, more rounded bushes. Then there is plants with thinner leaves, or grasses, that look good next to plants with more broader leaves. 3. Where is the Sun? Who doesn't love the sunshine? I know I do! I love the sun shining through my windows in the mornings. You know who else loves the sun? Plants! That seemed like a silly question, because we all know that plants need the sun to help them grow! However there are three different types of plants. Shade, part shade and full sun plants. Here's the breakdown. 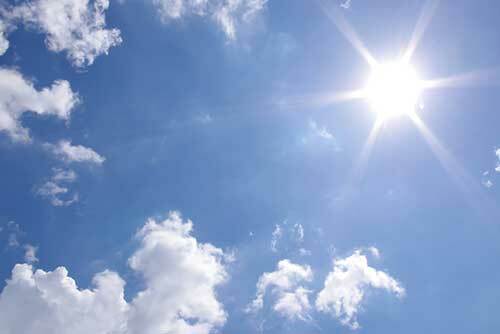 Shade plants, such as Primrose, Lungwort and Foam Flower, require only less than four hours of sunlight per day. That's easy! Part shade plants like, bluebells and lily's only need four to six hours of sun. Then there is the full sun plants, like daisy's and sunflowers need at least six hours of sun per day! 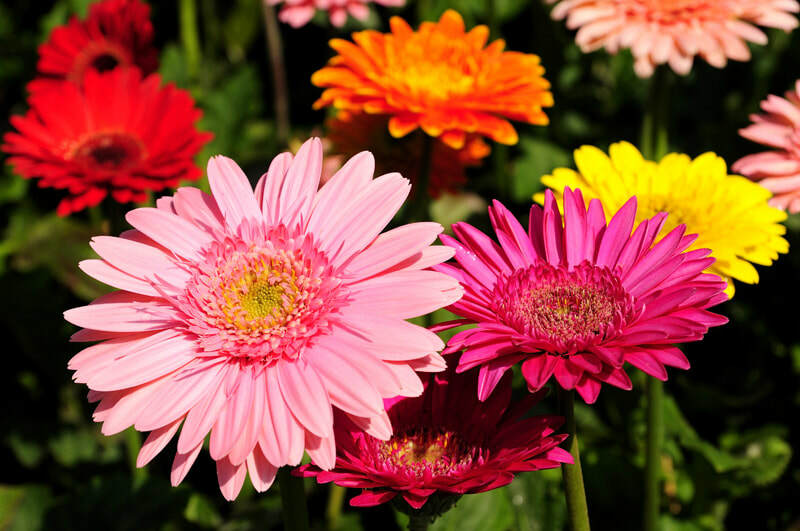 Do you know one of the common problems with gardening and planting flowers? Getting plants that are too big! It's really easy to look at the current size of a plant in a pot and plan accordingly to that! But did you know that plants actually grow bigger once they are in the ground? You don't want to crowd the plants because then you're going to have do extra work of moving them around later. Just make sure when you are purchasing the plants, you know how big they will be once full grown. This is an easy one! We all know that plants need some type of nutrients to help them grow. Soil is a main factor! 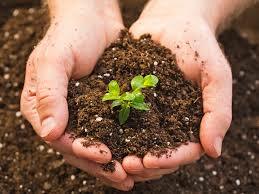 With soil being such an important factor, two great soils are intelli-soil and soft soil. 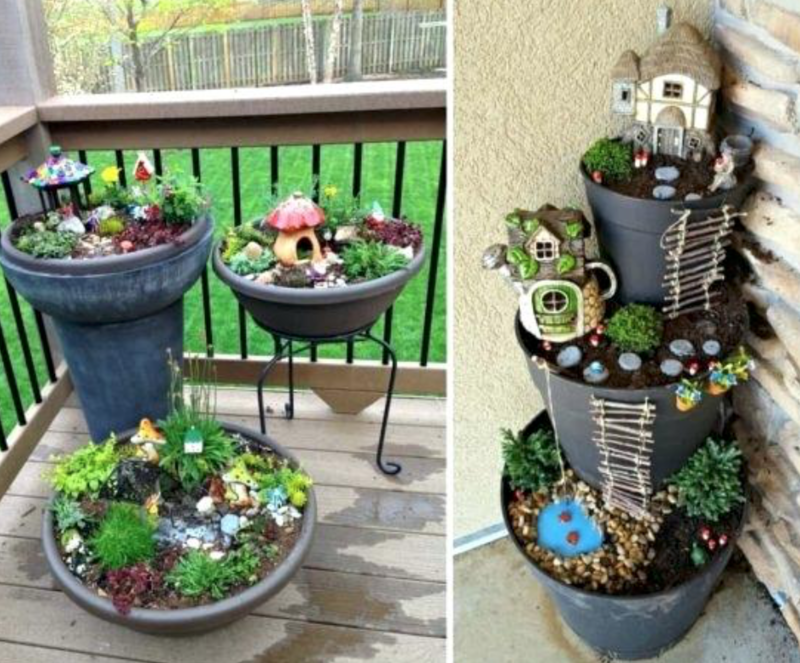 Our intelli-soil is great for house plants, hanging pots and even outside plants! It's specially formulated growing mix to help your plants grow and great looking plants with little maintainance. It's also enriched with wool pellets to help through whole growing season! Soft soil which is another great option it is packed with nutrients and it's great for raised garden beds! 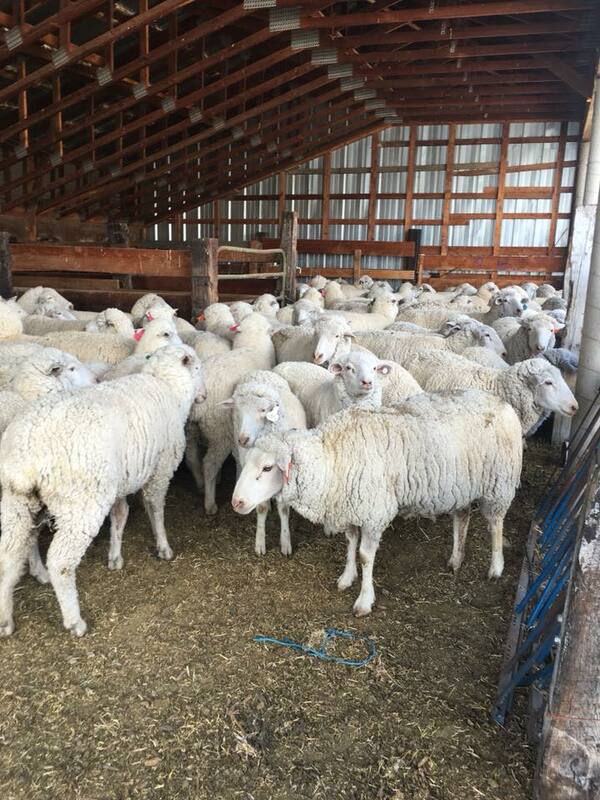 Don't forget your wool pellets! 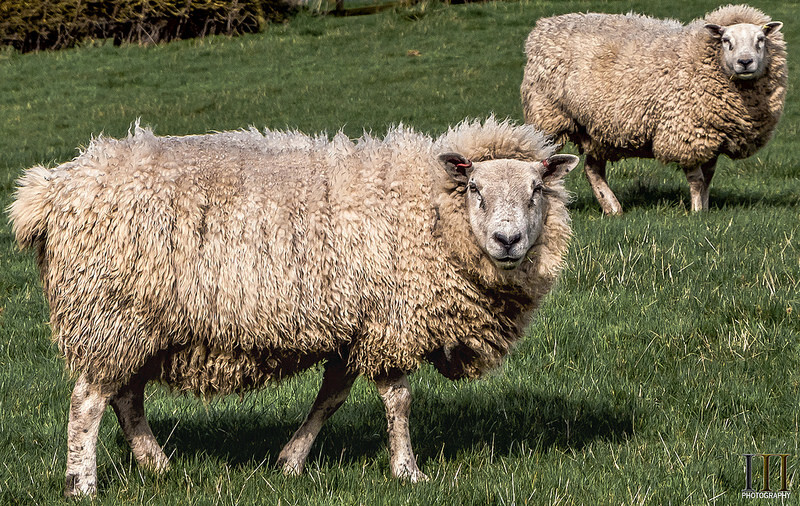 Wool pellets help your gardens by holding up to 20% their weight in water so it reduces the amount of time spent watering, they also wick away water to help reduce overwatering and they increase porosity for optimal root growth! There are definitely more tips and tricks when it comes to picking flowers for your garden and these just a few! Always remember that it's your garden, so you do what you want! Make it your own, add your style, interests anything! 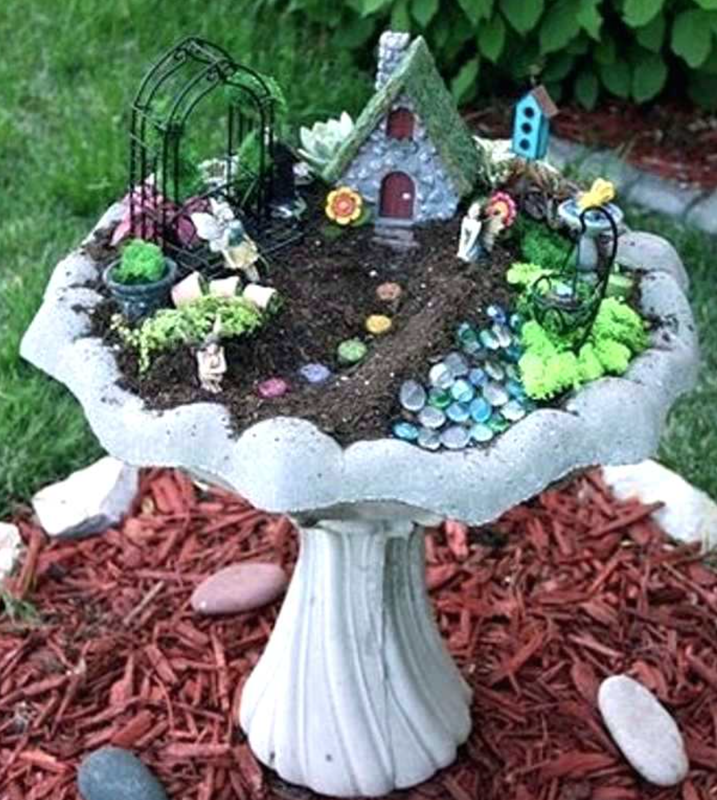 Show us pictures of your gardens in the comments below! 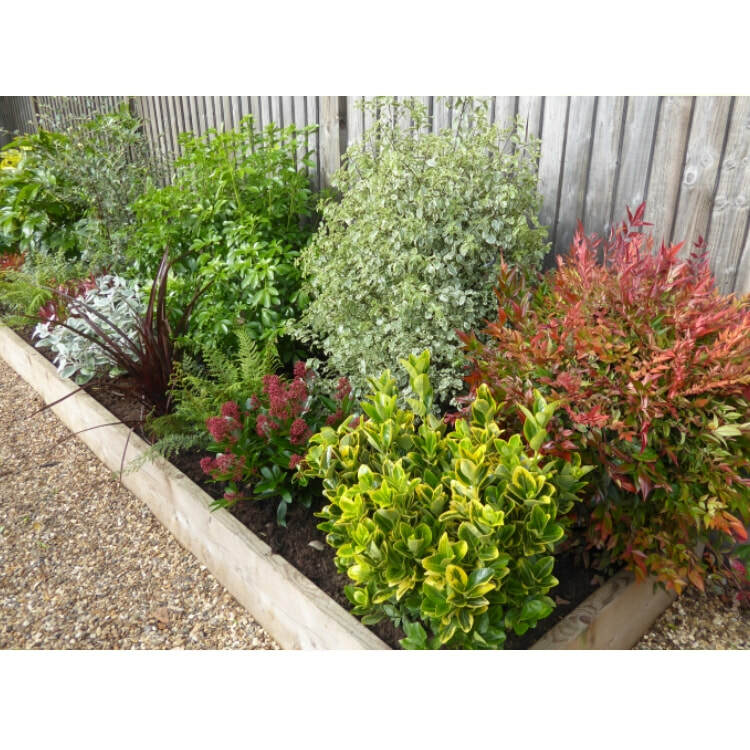 Premium all natural and organic compost is an essential part to creating a great garden. 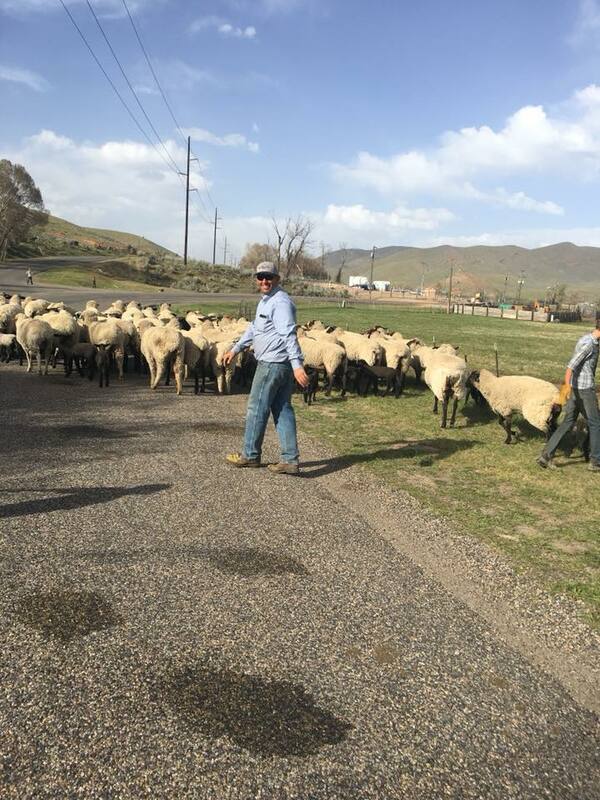 Learn all about Wild Valley Farms, Terra Zest in this article. 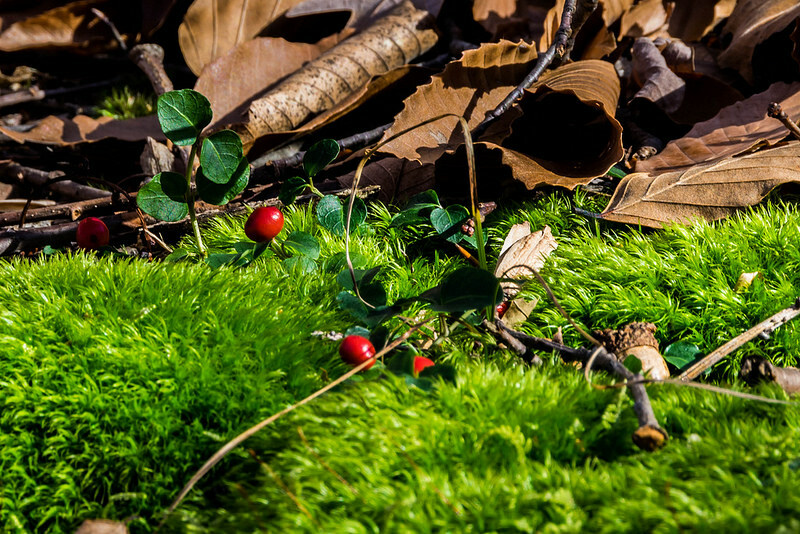 Since the creation of the earth, decomposition has been in play. Rock, trees, leaves, grasses, foods, and all types of organic matter have been broken down over time to create the soils that surround us. Because the minerals, bedrock, climate, moisture, and plants vary depending on geographical location, soil content and make up varies too. Ideally, you want to create a soil that helps retain moisture and has adequate aeration. Ideal soil is dark and has the full range of organic nutrients that release slowly over time. Soil like this allows for deep root growth and ideal environment for your plants. Terra Zest is the solution you have been looking for. Terra Zest compost blend is the solution for softening your soil. 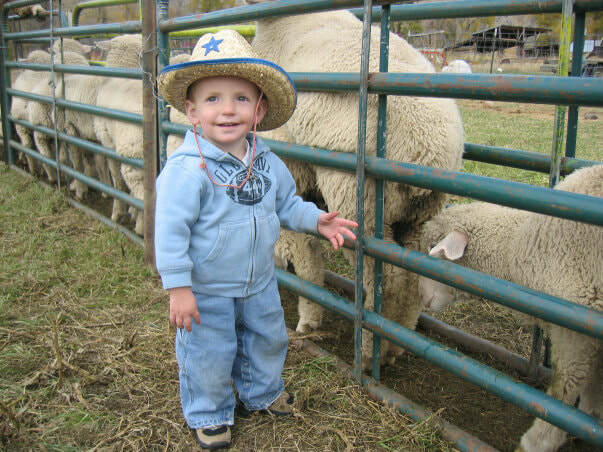 Our premium organic and all natural Terra Zest is a special blend of manure, sawdust, and hygroscopic fiber (wool). There are two main components that make up any compost. 'Greens', or table scraps and yard waste, and 'Browns', or manures. The main difference in any compost is feedstock or the materials that you start with. You need "Greens" and "Browns" or Nitrogen and Carbon. There are many different sources of "Greens" or Nitrogen and using the best sources yield the best results. The quality of materials used are a key component in the making of a great compost. We combine these products carefully to ensure your plants, lawn, trees or garden vegetables can get the full nutritional value needed for root development. Because our Terra Zest compost blend is ‘cooked’, and not just made with the right ingredients, otherwise harmful components have been eliminated. This compost blend has a 40:1 ratio of Carbon to Nitrogen, 50% moisture, maintains a temperature of 160 degrees for three weeks - cooking out seeds and pathogens. Terra Zest compost blend is guaranteed 99.5% seed free. ​Our compost is on site for over 8 months being turned and screened to make a perfect product full of humus, ready for gardens. Terra Zest is screened to remove and debris, then carefully tested to make a uniform product. Terra Zest will help your soil retain moisture and works as a slow release fertilizer that lasts all year long, (unlike chemical fertilizers that only last for a few weeks), and it won’t burn your lawn or plants. This premium compost blend is safe for use around children or pets immediately after use. 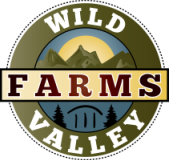 Wild Valley Farms is committed to delivering all natural, organic, and safe products to our customers. Special care is taken in every stage of development to ensure you receive a nutrient dense, long lasting, and uniform compost soil. We also make a special Golf Course blend that helps green up grasses faster and helps keep high traffic areas softer. 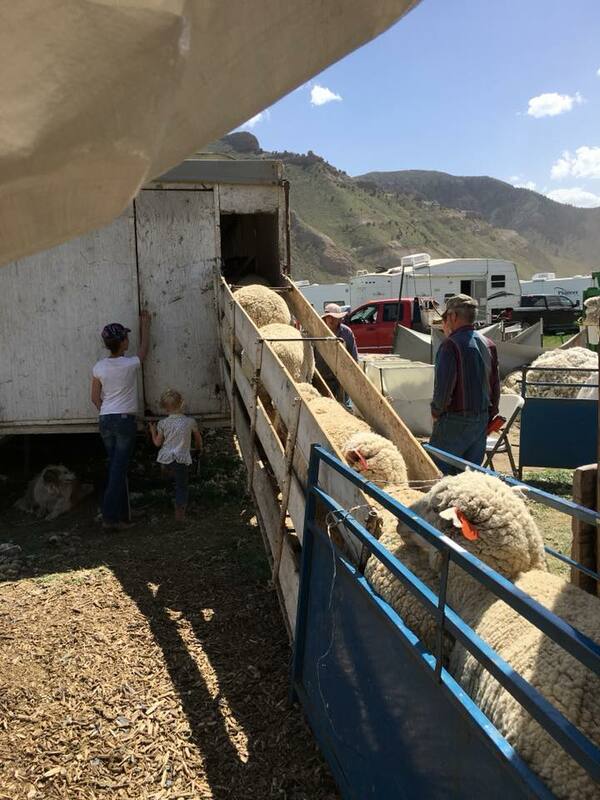 What are the Benefits of Wild Valley Farm Terra Zest compost blend? Adds organic matter to help build and loosen soils. We not only sell Terra Zest in bulk and deliver in Northern Utah, we also offer installation so the back breaking labor is done for you. 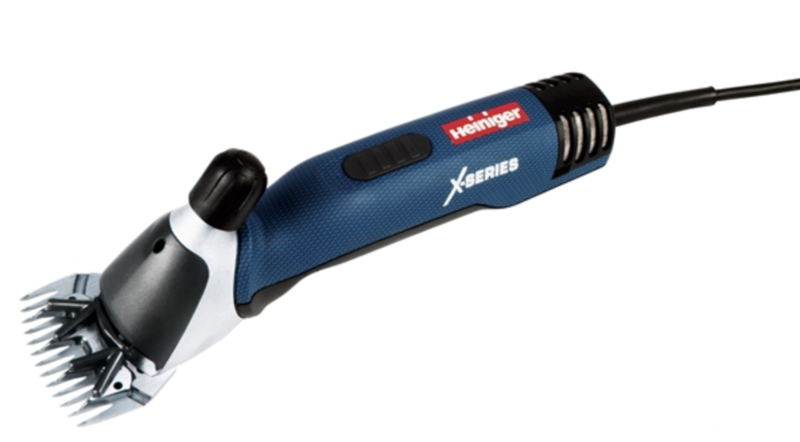 You can also find it at many garden retailers in the US and Canada. Any of our products installed in your already landscaped yard. The Installation price includes delivery of the product. This is a great option for those who aren't sure how much product they need as we only charge for what is used. The $29 price is per cubic yard of product installed. In the notes please say which product you would like installed. 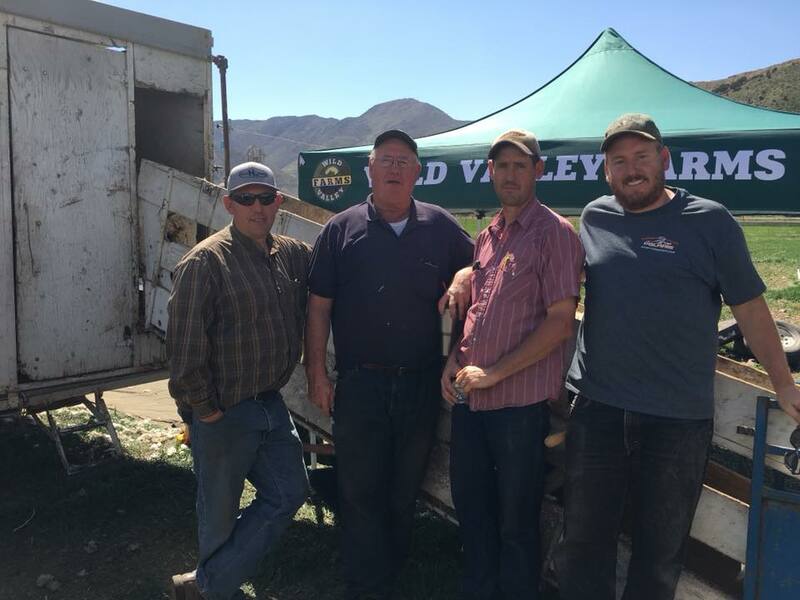 Utah's own Matt McConkie used Wild Valley Farms compost & Wool Pellets in his Giant Pumpkin growing attempts this year and it paid off, making him the new record holder for Utah! 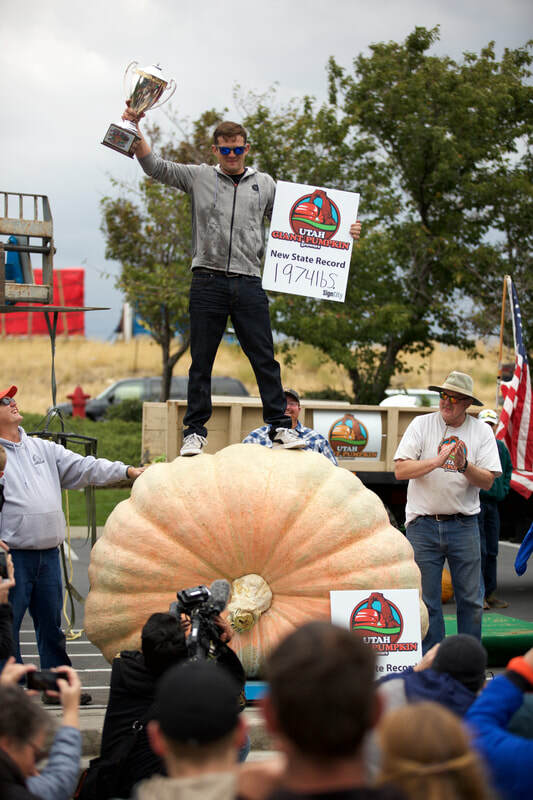 McConkie smashed the old record by 200 lbs bringing in his prize pumpkin weighing a whopping 1,974 lbs!! He also placed as the Number 16 grower in the World for 2017!!!! 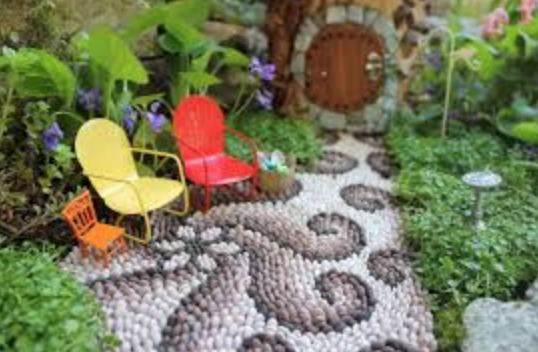 ​You could say that using our special blend of Terra Zest compost and Wool Pellets brings GIANT results. Tomatoes thrive when planted straight into Terra Zest. They love this nutrient rich compost. Tomatoes in containers filled with this compost blend will have the moisture retaining benefits and the room for their roots to grow deep. 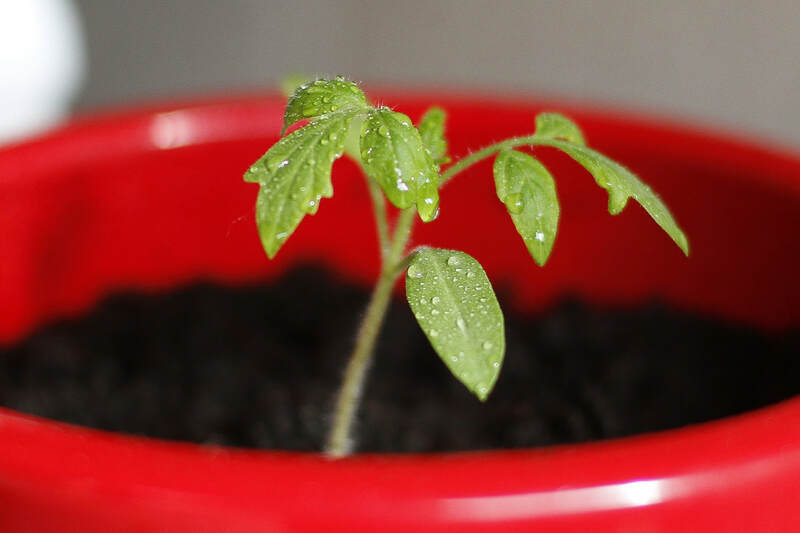 These 6 tips for Growing Tomatoes in a Container are the perfect guide. 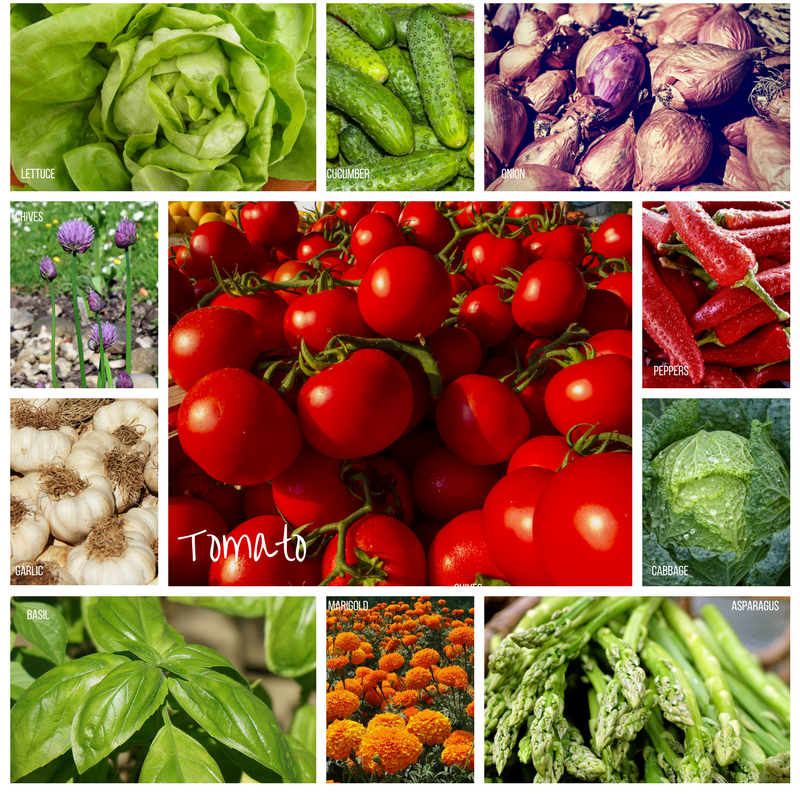 The best varieties of heirloom seeds and plants to put in your garden and flowerbeds. A resurgence in heirloom varieties of flowers and vegetables provide a unique opportunity to add a bit of nostalgia and family connection to your garden and flowerbeds. Have you ever gone somewhere and smelled something and instantly you were transported to another place and time? So many of our memories are tied to smells. Actually, researchers have discovered that smells travel through the nose, cranial nerve through the olfactory bulb to help the brain process smells. The olfactory bulb and amygdala are both part of the limbic system, the emotional center of the brain. This close relationship between the olfactory and the amygdala is one of the reason odors cause a spark of nostalgia. Smells do bring back memories, smell goes into the emotional parts of the brain and the memory parts, whereas words go into thinking parts of the brain. Whether it’s pumpkin pie, freshly baked bread, or your mother’s perfume, smell can invite sweet memories into our lives is pleasant. This got me thinking about all the things I have loved about my childhood home and sharing a backyard with my grandparents who enjoyed 4 acres of crops, blooms, and orchards. Like me, many of you may have fond memories of making your way up the walkway of your grandparents' homes and all of the vibrant colors and smells that invited you into their hearts and homes. 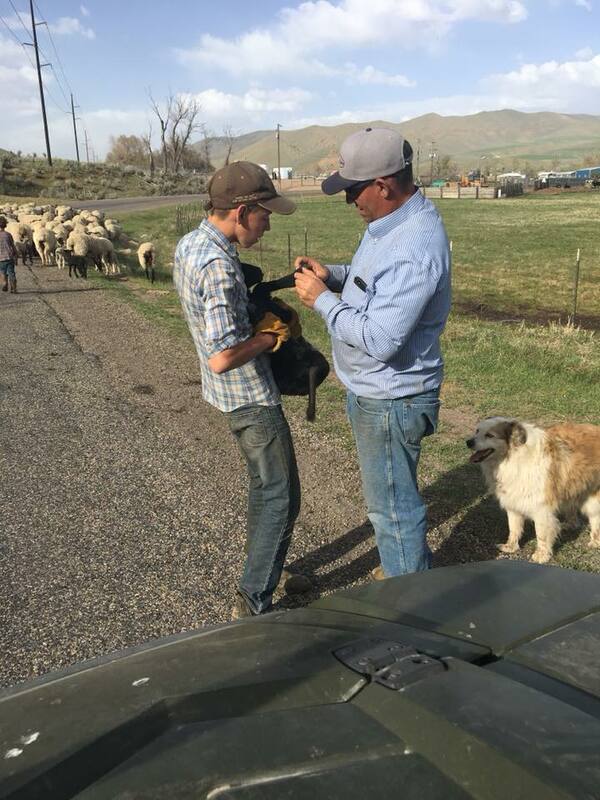 Join by remembrances of lessons taught by your grandfather as he pruned trees and bushes or taught tips for a good harvest in his overalls. I loved being in my grandparents garden and all of the yummy smells that are such a part of my childhood. Delicious raspberries, peaches, and lilacs. 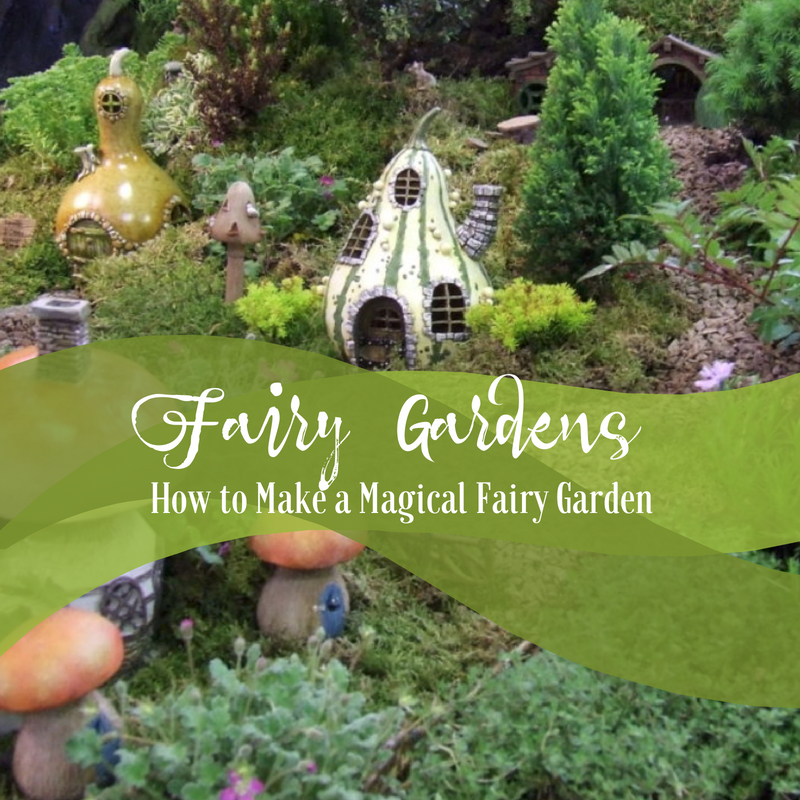 So much of what I have in my flowerbeds and garden have been influenced by generations past. 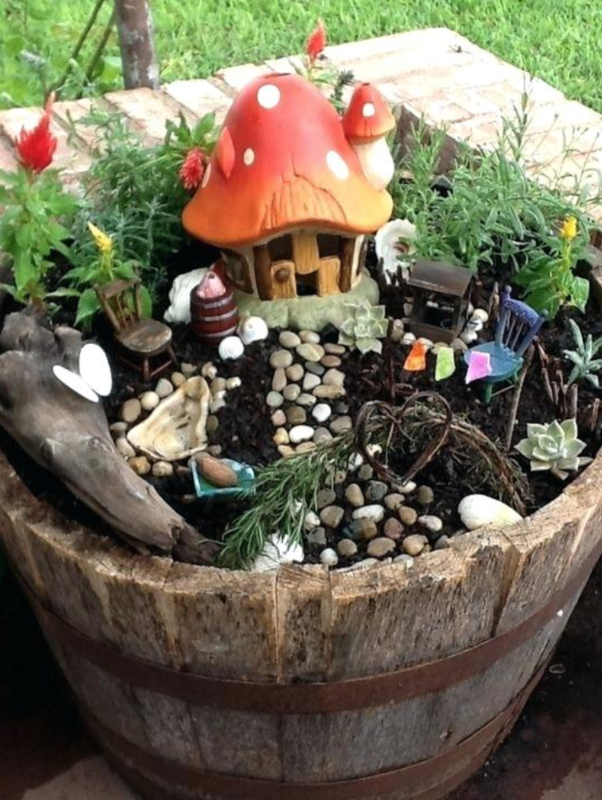 If every time you get your hands in the dirt or smell those long forgotten scents, memories come flooding back, you may enjoy planting a memory garden. There is much we can learn from generations that have gone before about gardening. 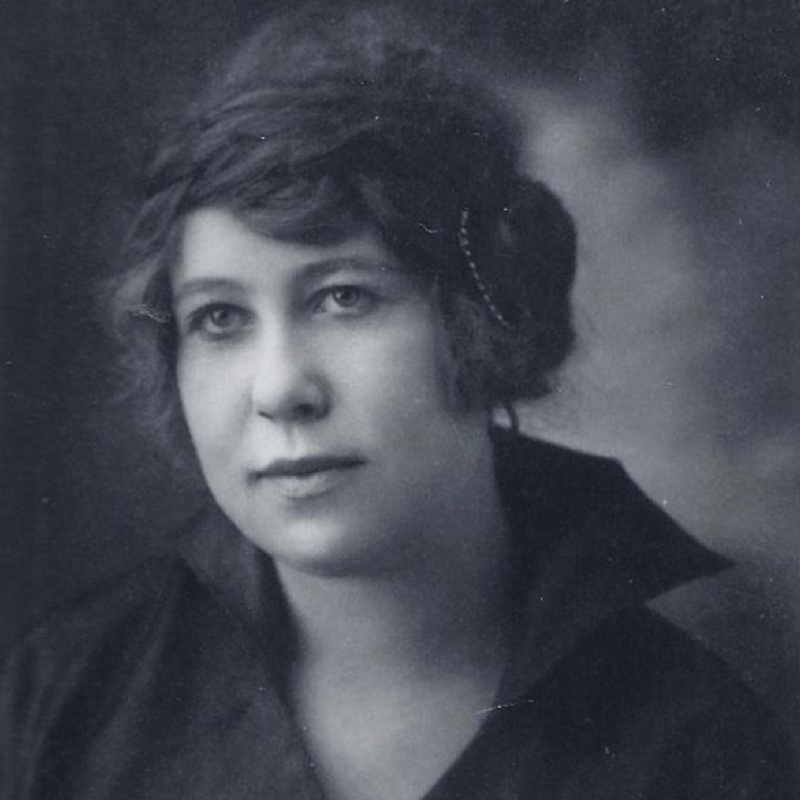 I have been inspired by the wartime efforts of citizens in both WWI and WWII. In March 1917, just weeks after the US entered WWI, the National War Garden Commission encouraged Americans to contribute to the war effort by planting, harvesting and donating from their gardens. During WWI a huge food crisis had emerged with Europe's crops turning into battlefields. 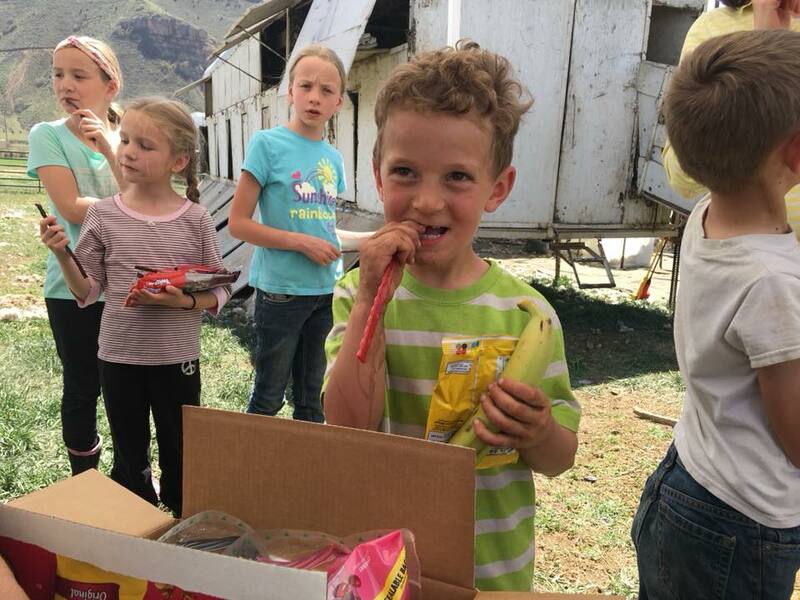 The burden of feeding millions fell to the United States. Promoting "sow the seeds of victory" to housewives and become "soldiers of the soil" to school children, 3 million new garden plots were planted in 1917 alone, and more than 5.2 million were cultivated in 1918 Victory gardens. 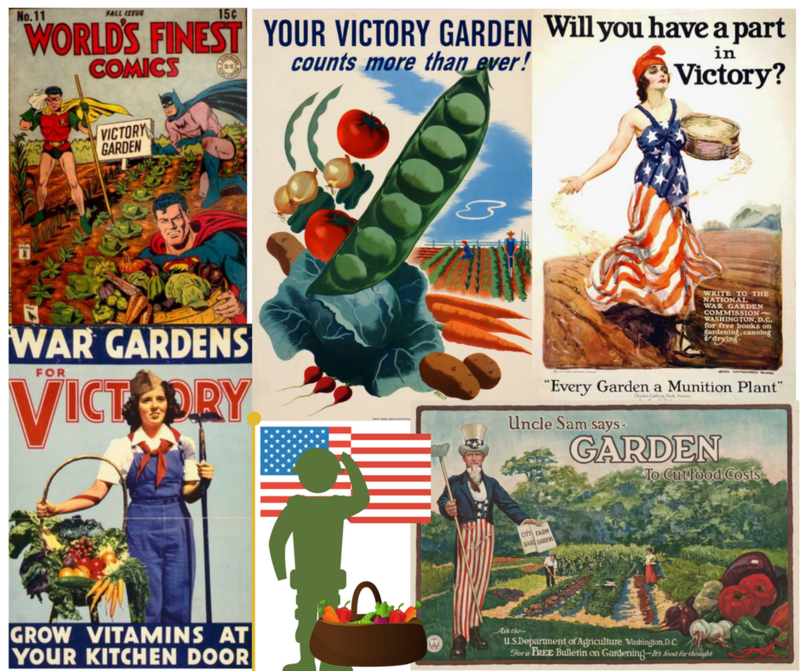 Victory gardens were again promoted in WWII with the loss of laborers to fight in the war. Nearly 20 million Americans answered the call.The US Department of Agriculture estimates that more than 20 million victory gardens were planted. Fruit and vegetables harvested in these home and community plots were estimated to be 9-10 million tons, an amount equal to all commercial production of fresh vegetables. It's amazing what a few people working together in small ways can do!! In the US alone, there are many varieties of flowers and crops that have gone out of fashion and have all but gone extinct. The reason for this may lie, in part, to the way our suburban lifestyles have changed through the decades. 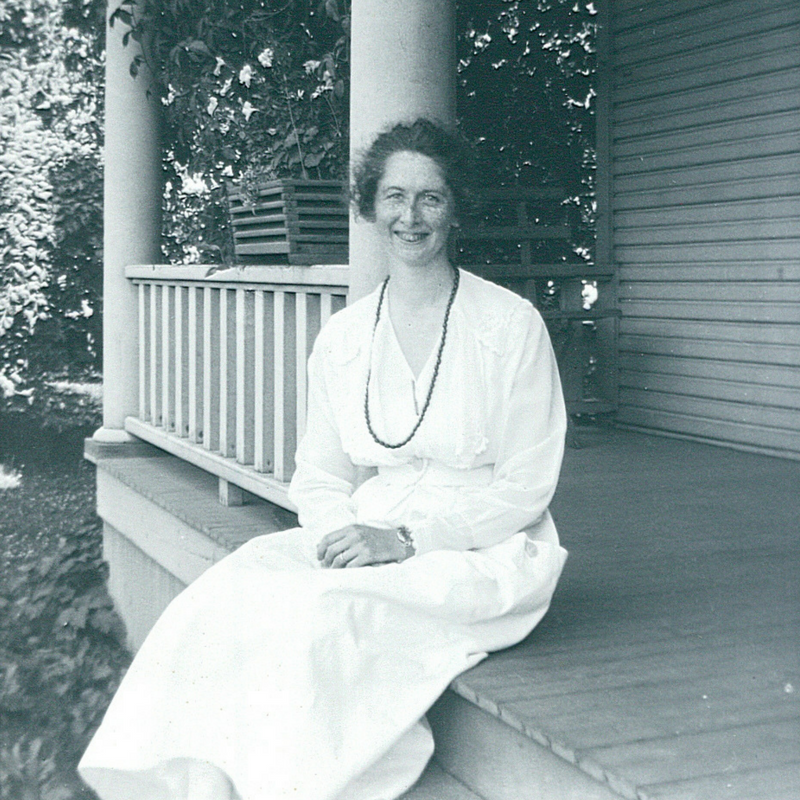 During the 1920’s most homes didn’t have fences, but walkways and separation between houses were lined with perennials. 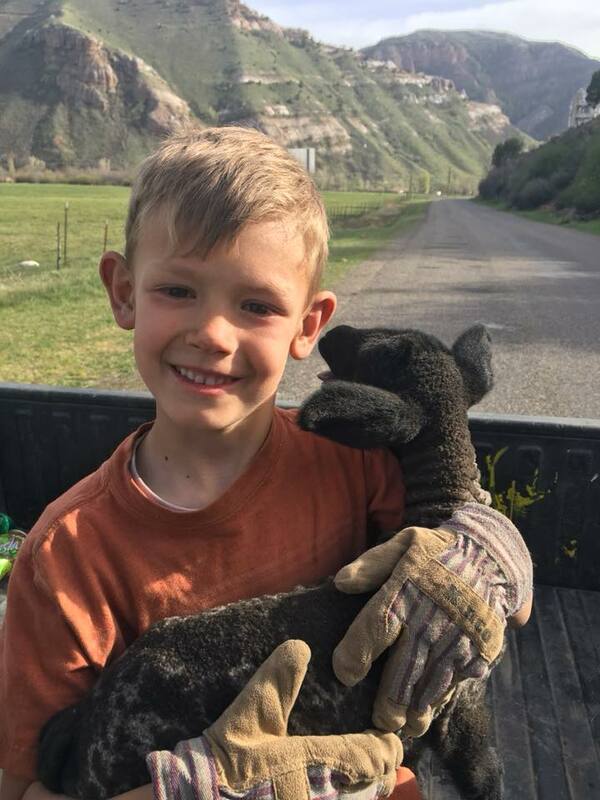 Popular choices included, Canterbury bells, irises, foxgloves, phlox, pyrethrum, coreopsis, hollyhocks, roses, columbine, delphinium, poppies, and carnations and annuals, such as California poppies, cosmos, petunias, snapdragons, verbena, bachelor’s buttons, Centaurea (sweet sultan), strawflowers, marigolds, Drummond phlox, asters, etc. Shrubs were boxwood, holly, yews, and abelia. 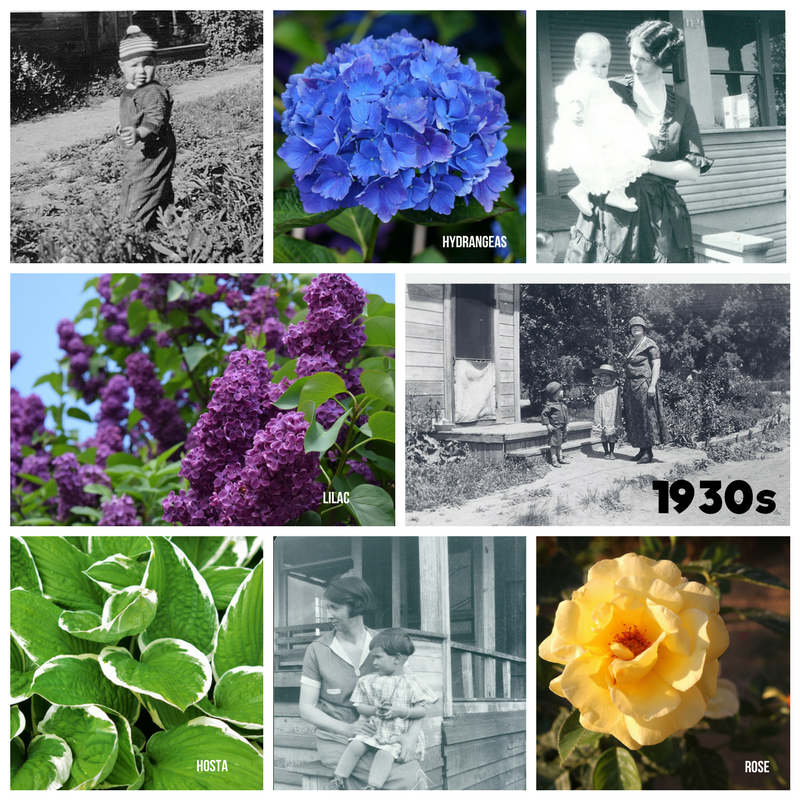 In the 1930’s the Great Depression stifled many flowerbeds, but large rose gardens were still popular along with hostas, lilacs, and hydrangeas. Many in this era had their own compost piles to provide nutrient-rich soil for optimal growth and production. Today, this practice is less common. You can still get those same organic benefits and reap the same harvest because we’ve taken the time-consuming process and done it for you. Soft Soil, Wild Valley Farm’s premium blend of topsoil and premium is ready and easily available to add to your garden. With the booming economic and suburban growth in the 1950’s, consumerism made its mark. 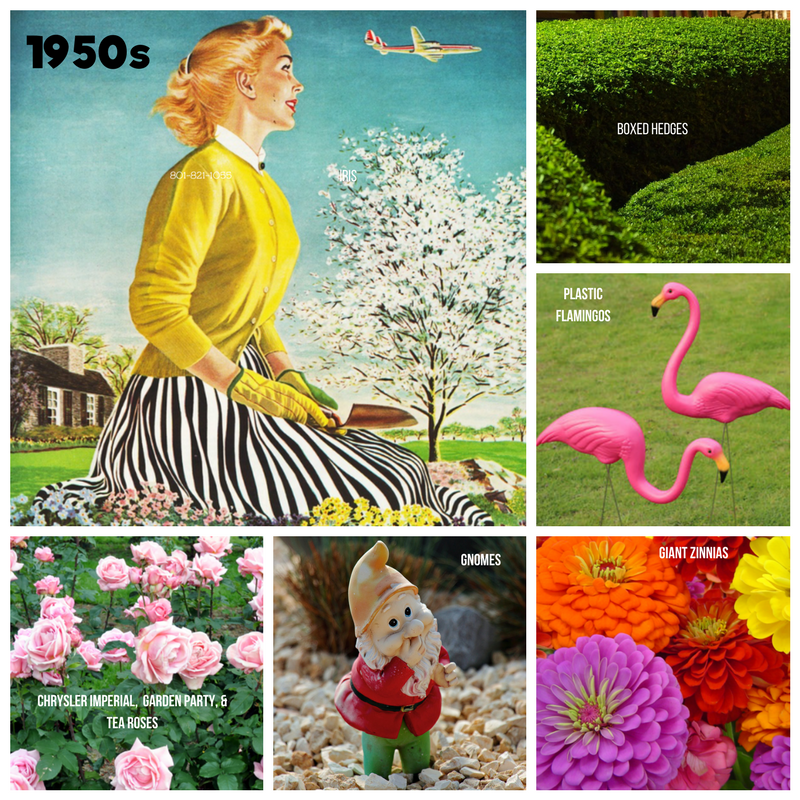 Boxed hedges, gnomes & flamingos dotted landscapes, while garden flowers were over-sized, vibrant and colorful, for instance, large tea roses like Garden Party roses, Tiffany roses, and Chrysler Imperial roses were popular choices. Giant Zinnias were another popular choice for fence lines. This video shows how to grow them and a few other heirloom varieties. 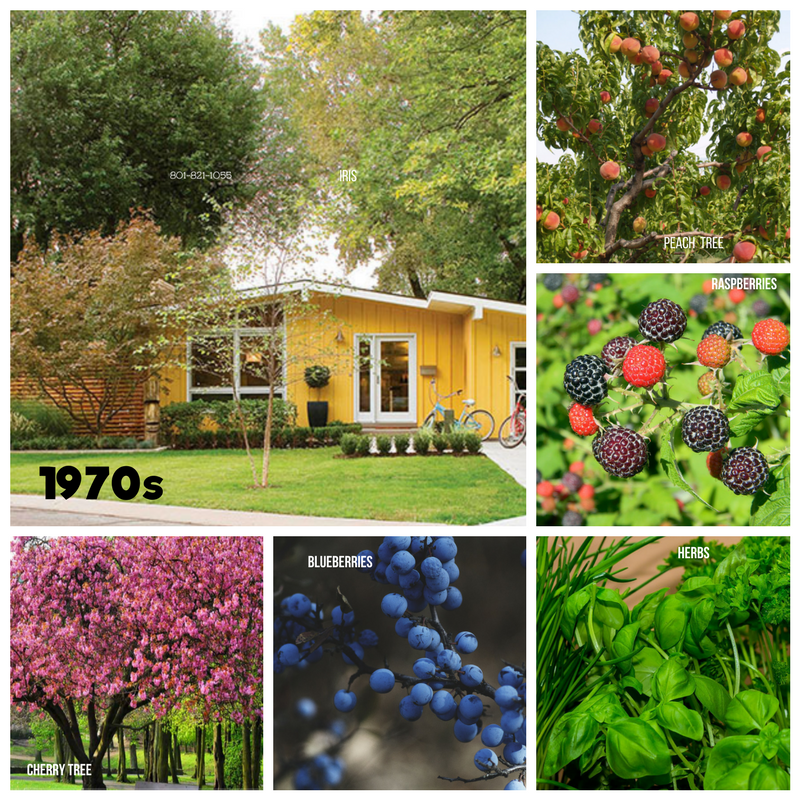 In the 1970’s Homeowners sought to do more with the land they had. 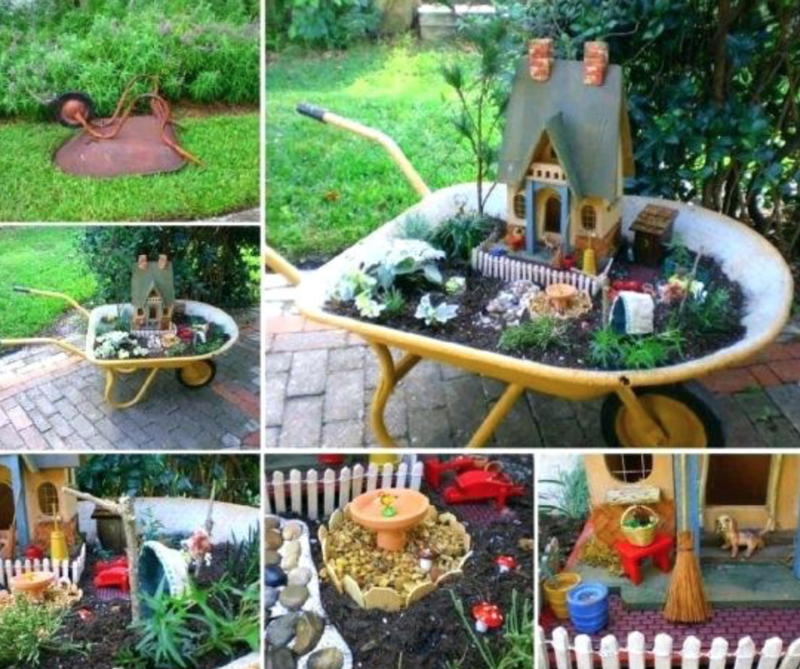 As a result, vegetable and herb gardens, along with shrubs and trees that produced fruits became commonplace in home landscapes. 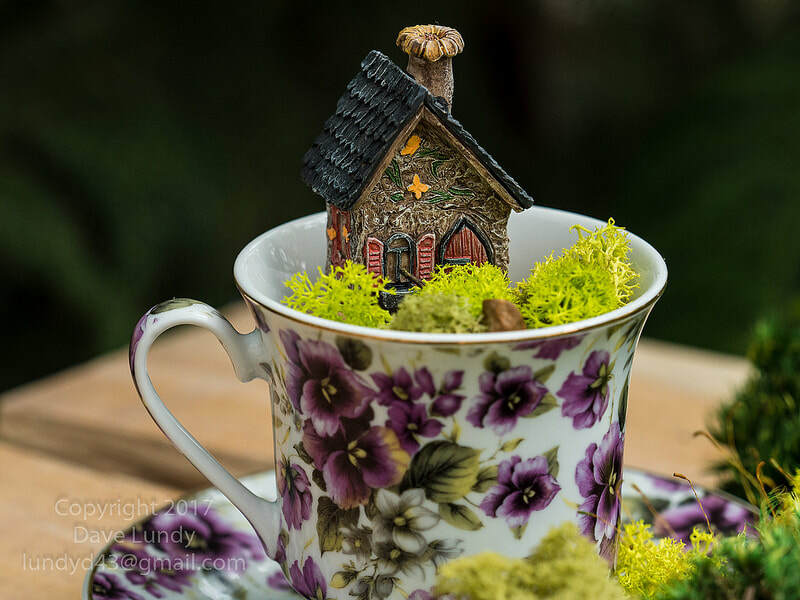 While adding smell, beauty, and eye-catching design, that may not have been all that dictated some of the choices of flowers and plants in Grandpa’s garden. 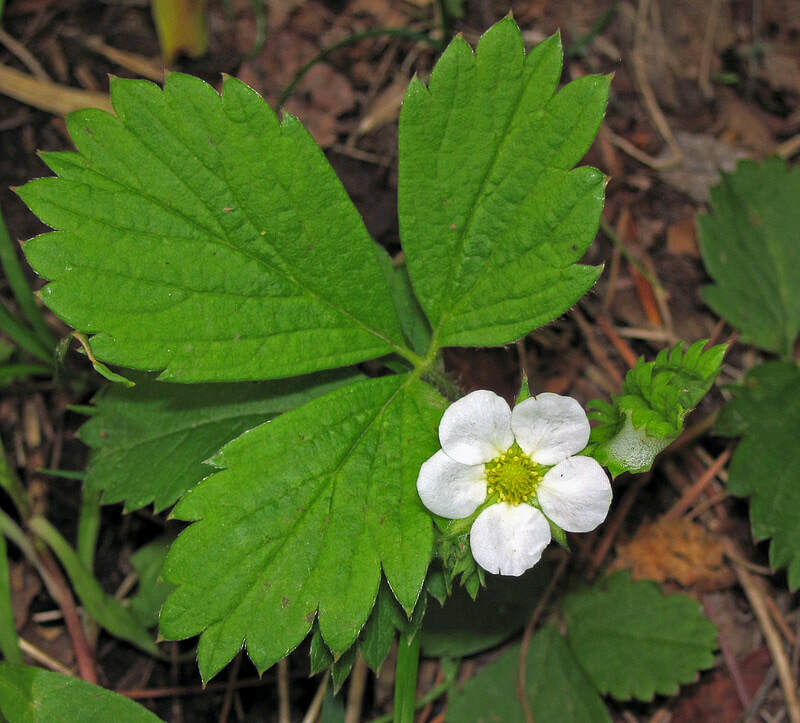 Many in generations past understood some of the unique relationships held between plants. 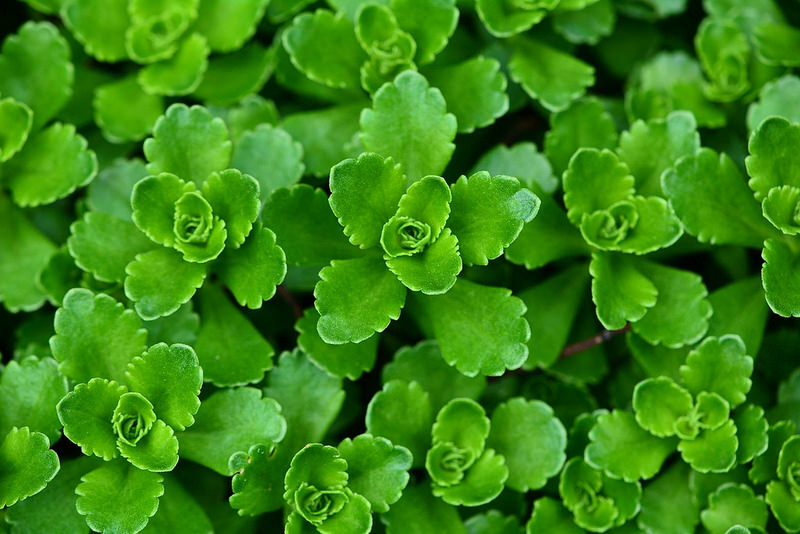 Often, plants can mutually benefit each other through pest repellent or environmental factors. This is known as companion planting. 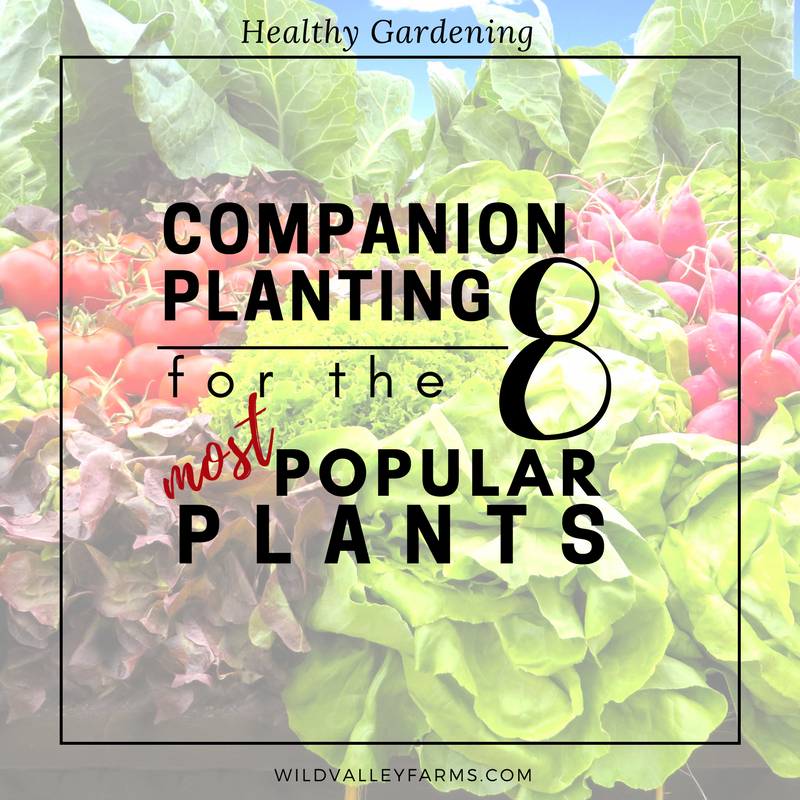 Learn more in our article Companion Planting for the 8 Most Popular Plants in Your Garden. Time spent in our gardens and yard space can pay off in bountiful crops and hearty harvests. To ensure that end, focusing on the condition of the soil they are planted in is essential. Gardens love our wool pellets, providing porosity for optimal and deep root growth while keeping away fatal crop pest like slugs and snail. 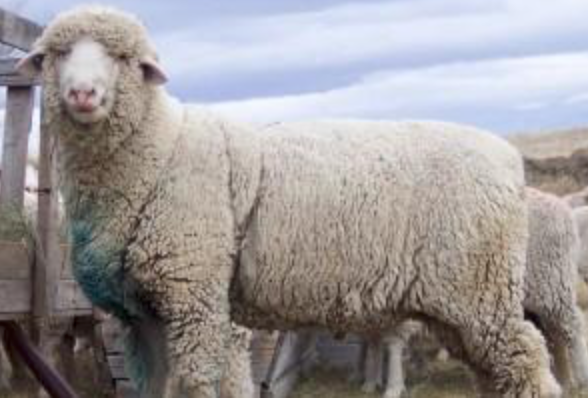 Read more about wool pellets and the natural release fertilizer they release in 6 Reasons You Should Be Using Wool Pellets in Your Garden Soil. 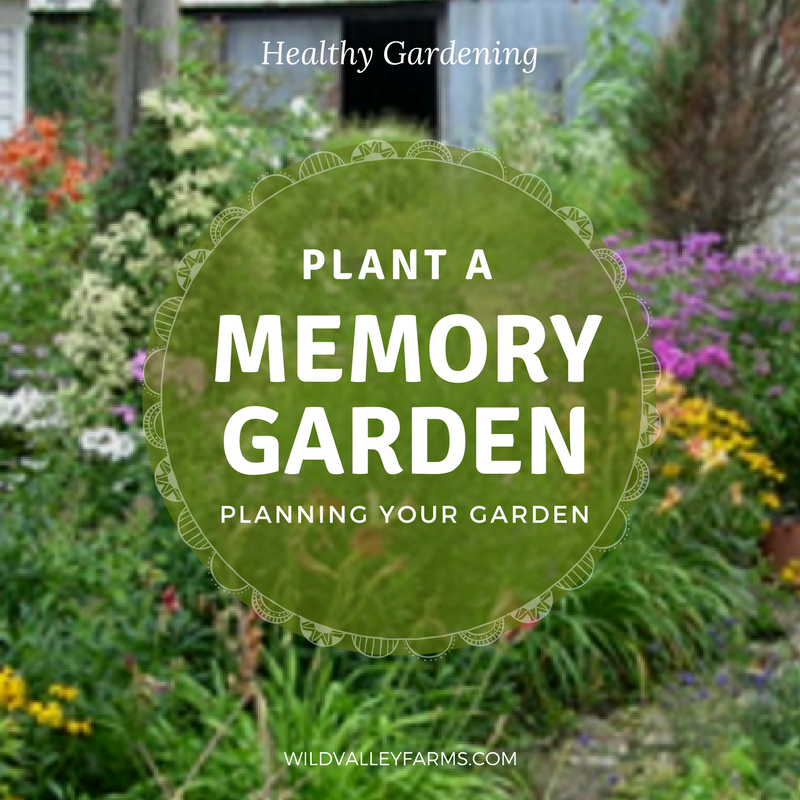 Have you already planted a memory garden or at least a few blooms into your flowerbeds? If so you are joining a movement that has been growing to bring back and keep from extinction many plant varieties. This resurgence has created an industry of heirloom seeds and plants. 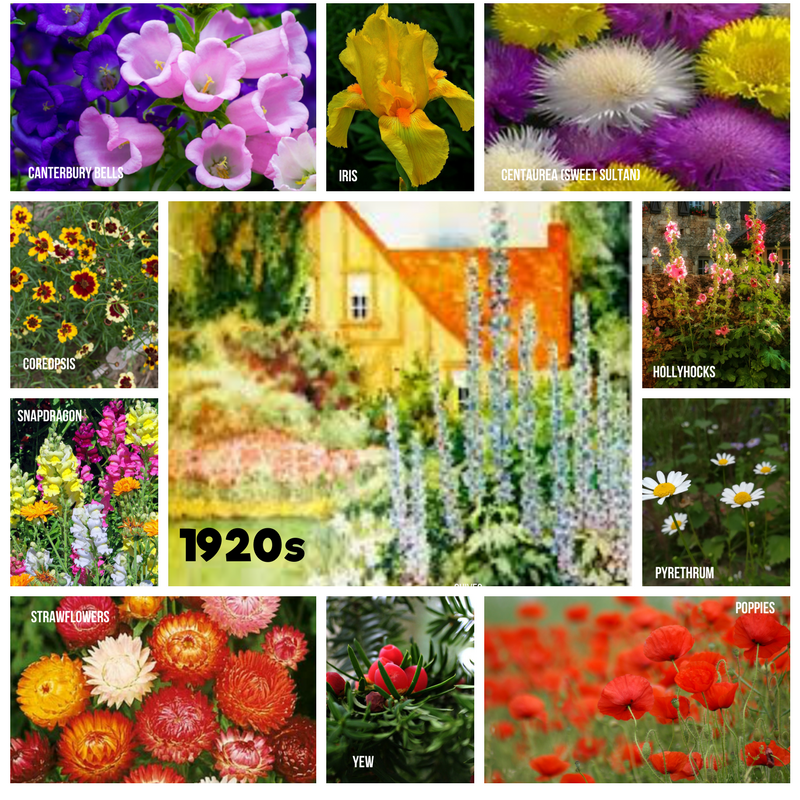 If you are wondering where you can get your hands on some of these older and less common varieties, we suggest Heritage Flower Farm and Select Seeds. There are also many seed swapping groups that are worth looking into. Give your favorite flowers a place of prominence by planting them in a Nutri wool pot. Different from most potting containers, Nutri Wool Pots are made of natural materials, that protect your plants from overheating and better insulate them from extreme temperatures. 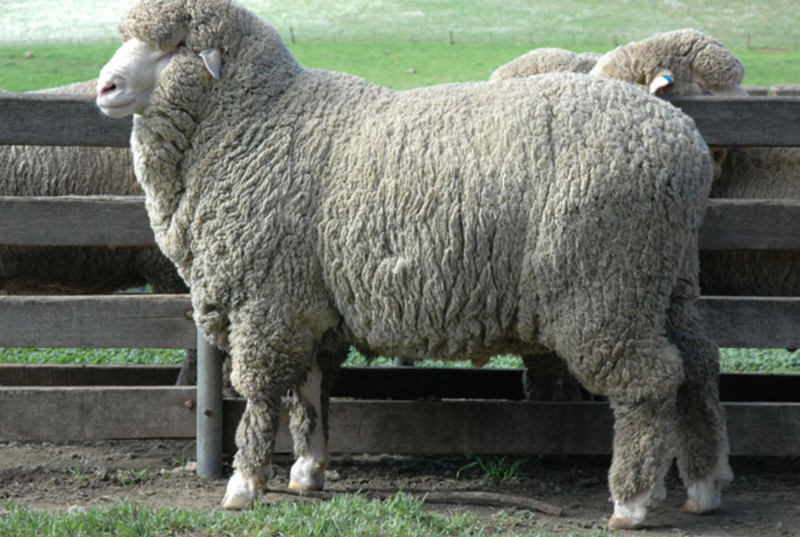 ​We already know the benefits that wool can provide as it breaks down over time releasing the perfect amount of nutrients to your tender plants and the barrier to pests like slugs and snails. Now you can have the added convenience of planting directly in these colorful Nutri Wool Pots. They look beautiful on any porch or balcony and because of their dense fibers, they hold the water making them the perfect container for your blooms and crops. 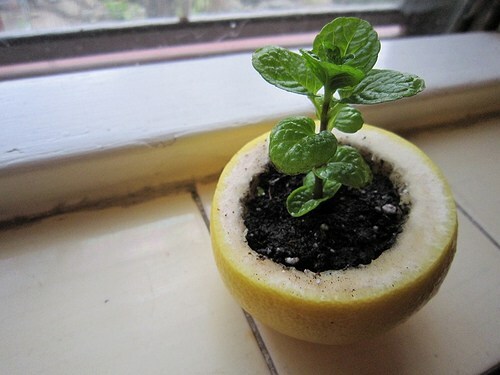 ​An added benefit of the completely organic pots is the biodegradable factor. 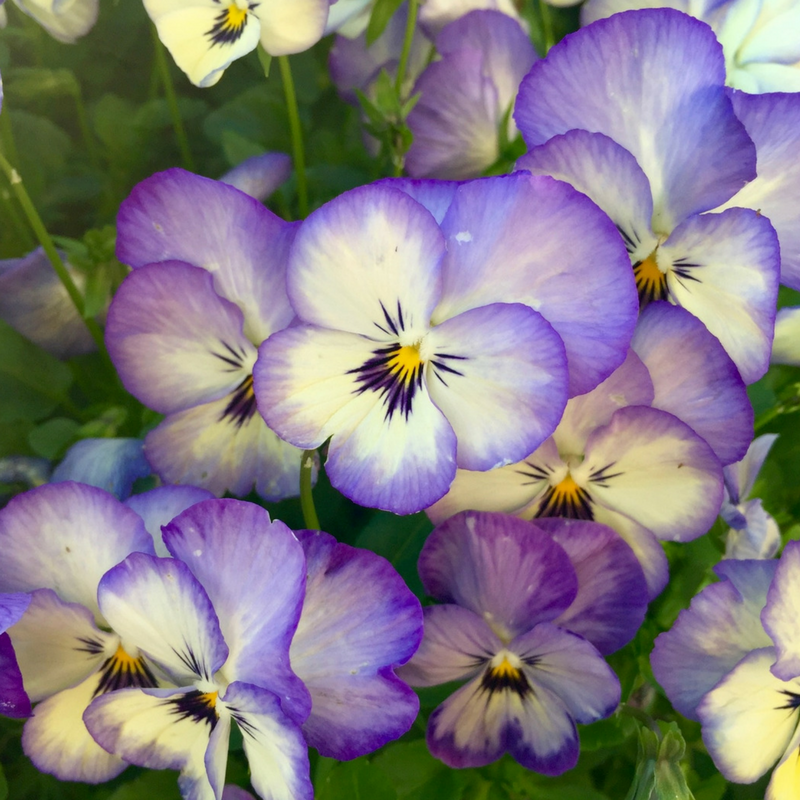 These little beauties can be planted directly in the soil when you are ready for making a more permanent home for the plants that grace the steps of your porch. 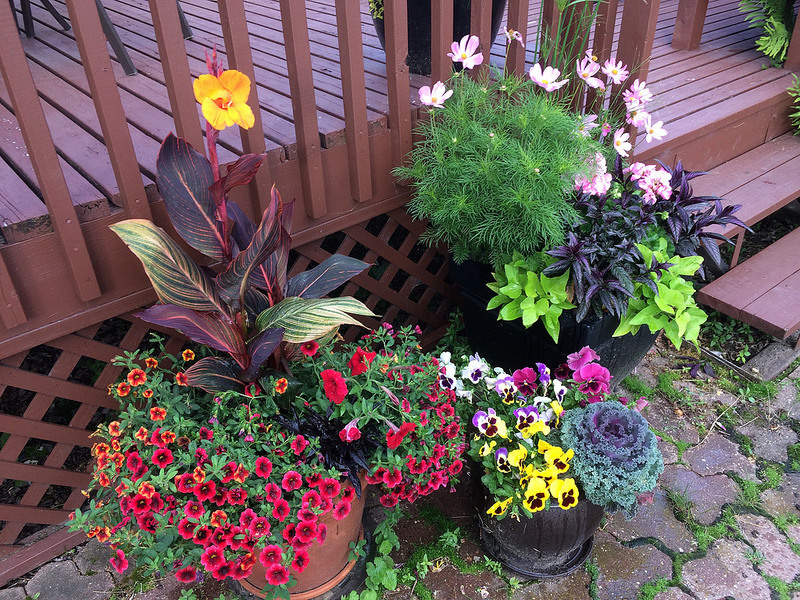 The bright colored pots and beautiful smells from your flowers will bring sweet memories each time you step onto your porch. Read about other great container plants in 15 Plants to Grow in a Nutri Wool Pot or Container. Flowers from my grandparents and even great-grandparents that I have planted in my own garden are violas or Johnny jump ups, irises, and buttercups. Each time I see or smell I am intrinsically tied to a time in the past and surrounded by sweet memories of those I love. 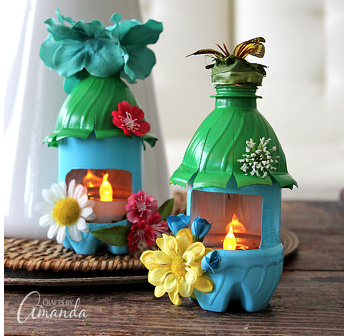 What flowers or plants bring back memories to you? We’d love to hear from you! Like all good friends, 'vegetable friends' help each other out. Did you know that onions & leeks repel carrot flies? Or that lettuce tenderizes summer radishes? Knowing which plants benefit the other is a secret to successful gardening. And who doesn't love hanging out with a good friend? There are lots of combinations of plants that grow really well together and have beneficial components for one another. We’ve narrowed this overwhelming and sometimes confusing process down for you. We've compiled a list of the most common crops, with the most beneficial plants to put together to take the guesswork out of companion planting and guarantee you’ll reap the benefits. 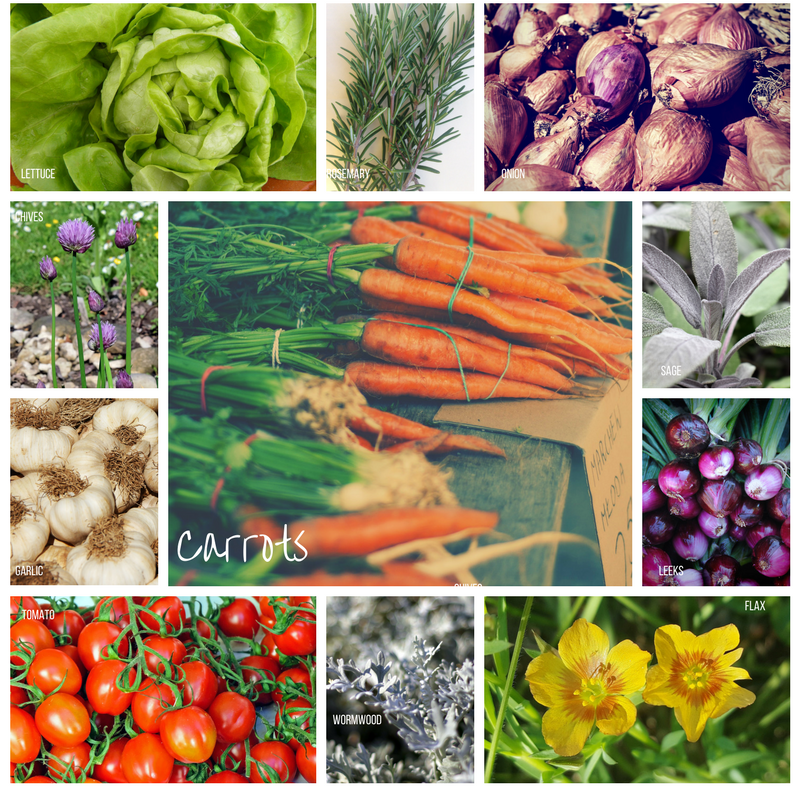 While you may not have tried it, companion planting is all around us. 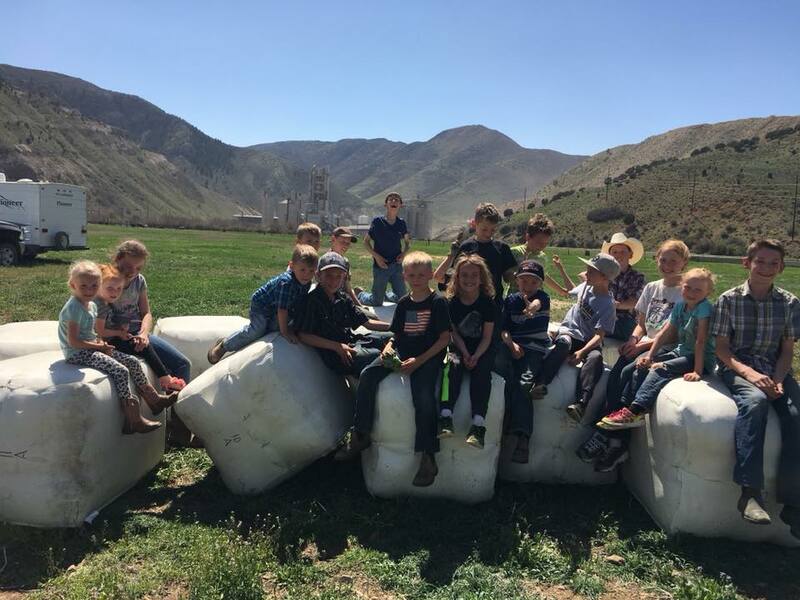 The most common practice today comes from industrial farming where it is a common practice to plant vetch or legumes in the fall after harvest. 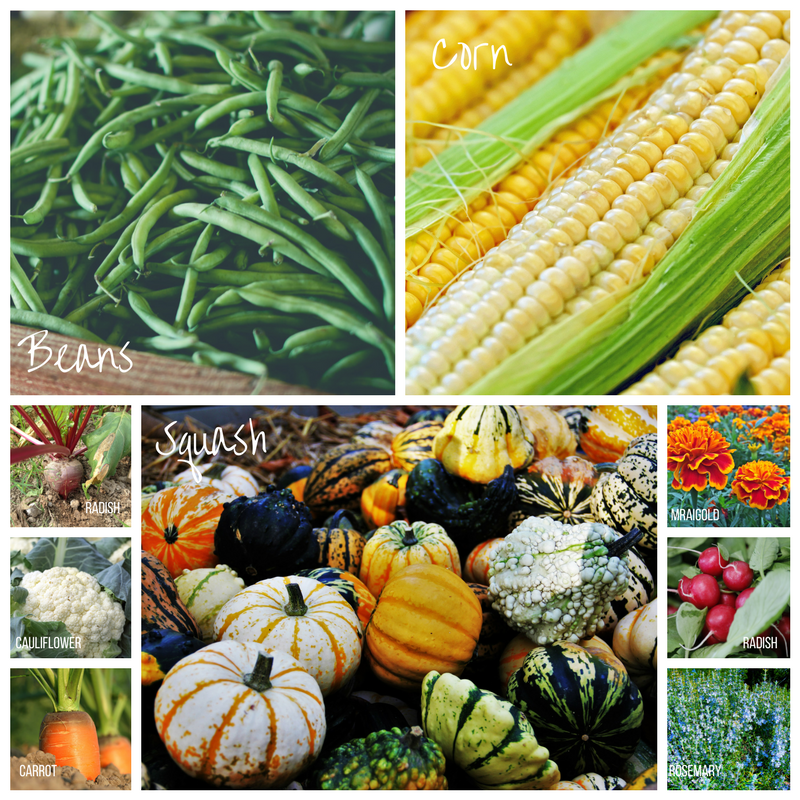 Native Americans used this practice but called it, Three Sisters, planting corn, beans, and squash together. So why go to all the trouble to plant next to each other or in the same space? The main benefits of companion planting are to provide mutually beneficial outcomes in soil nutrients, erosion control, weed control, deterring or attracting insects, and providing shade. Tomatoes grow tall and can provide shade for the more sun sensitive lettuce, cabbage, and other leafy greens. 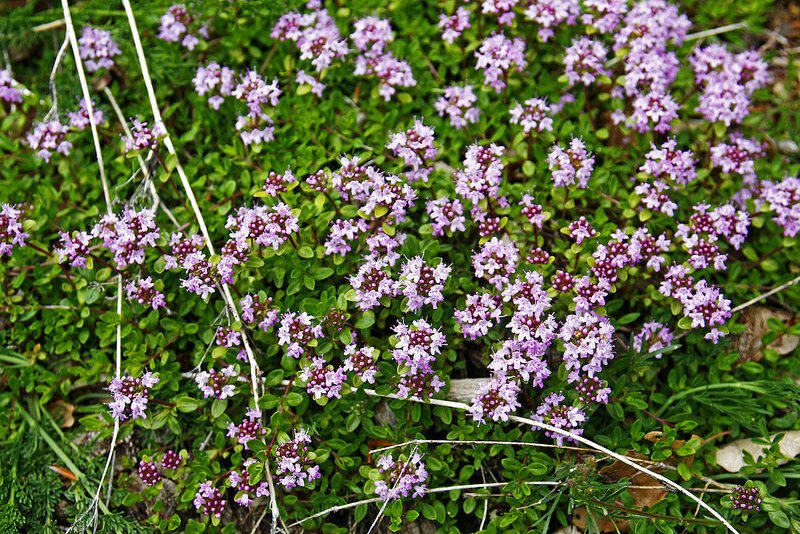 Basil repels common pests and if basil goes to seed will attract pollinators. 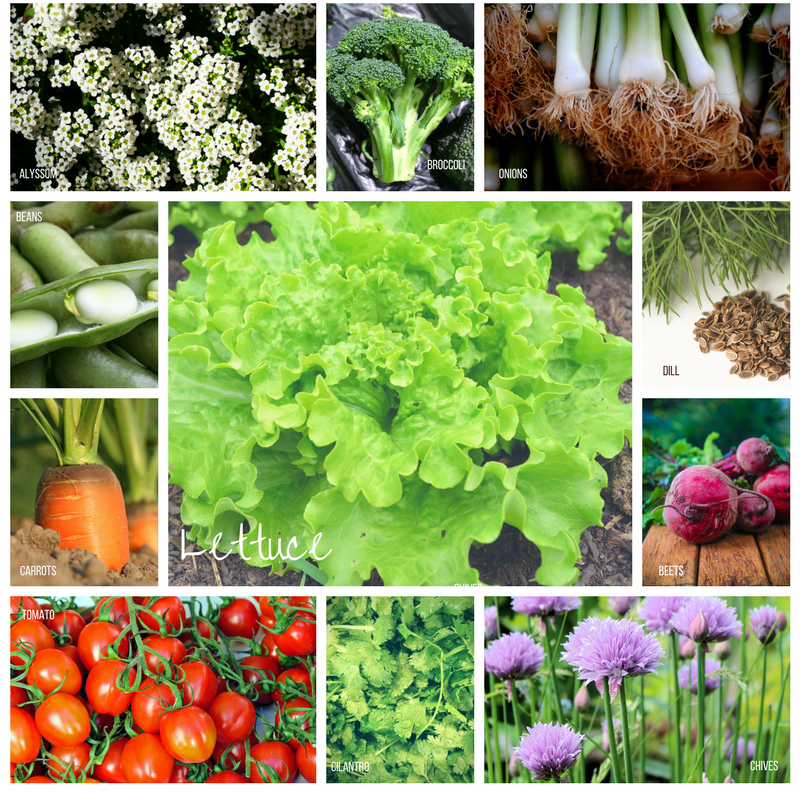 Other beneficial plants are carrots, asparagus, beans, celery, chive, cucumber, garlic, marigold, mint, onion, parsley, peppers. ​❌ Tomatoes do not like ? corn, dill, fennel, potato, kohlrabi, and pole beans. 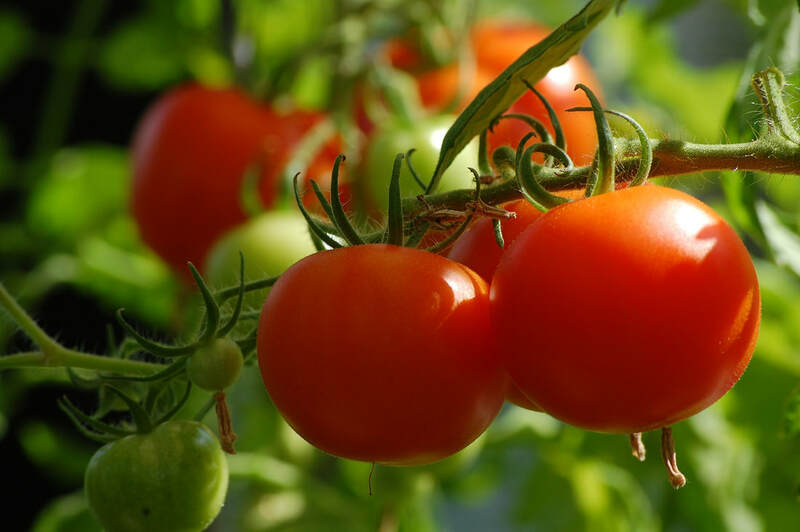 Tomatoes love our Terra Zest, it's our premium organic and all natural blend of manure, sawdust, and hygroscopic fiber (wool). Carrots are a great friend to have around as they help tomatoes, onions, garlic, shallots, lettuce, leeks, and beans. They are loved in turn by those same plants in addition to chives, rosemary, wormwood, sage, and flax. Onions and leeks help out by repelling carrot flies. ​❌ But not friends with dill, parsnip, and radishes. 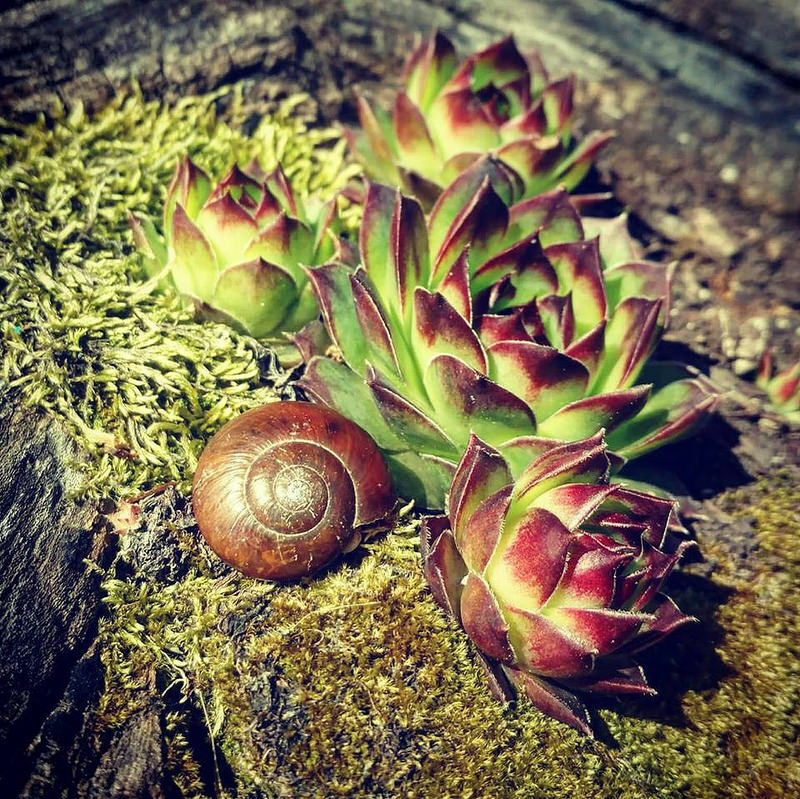 Naturally repel slugs and snails by mixing Wool Pellets into your soil. 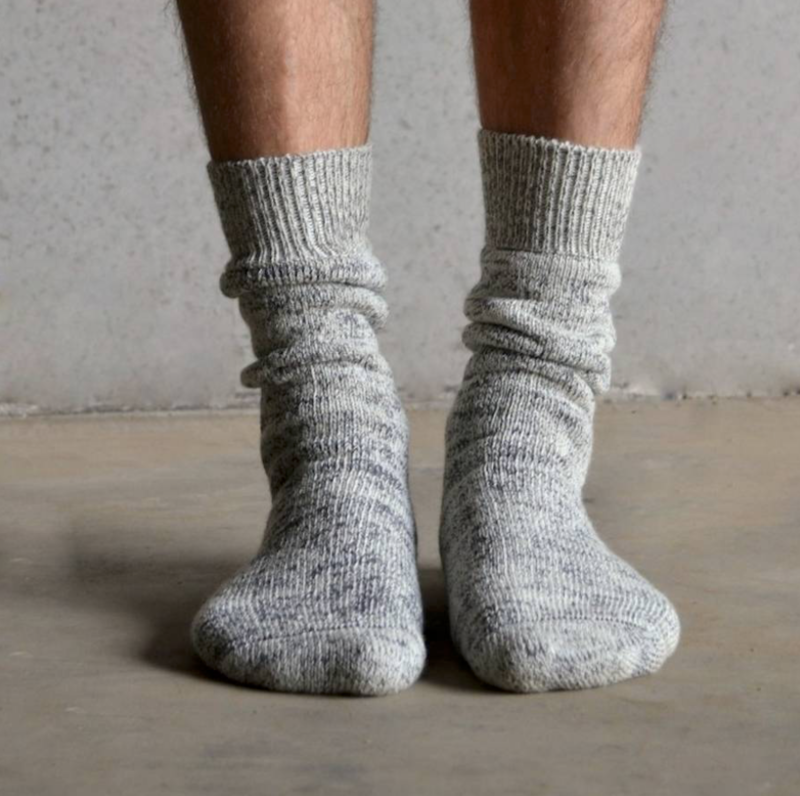 The microscopic wool fibers are little-barbed shields for all your garden plants. 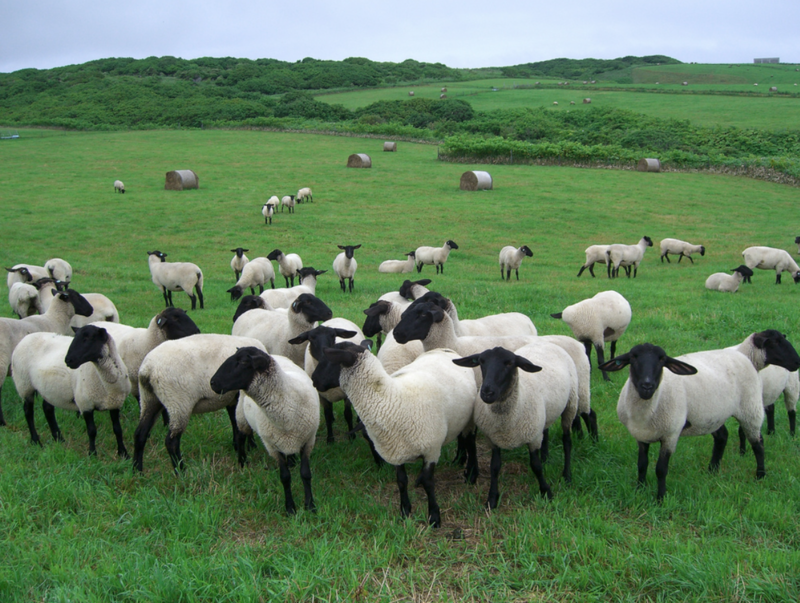 Read ﻿6 Reasons You Should Be Using Wool Pellets in Your Garden Soil to learn more. Lettuce loves tomatoes as we mentioned above, but lettuce and chives are a great combo too. The strong smell of chives will deter Aphids who would attack your lettuce. Adding Asylum will attract those beneficial insects that eat those munching on your leafy greens. Lettuce is a help to beets, beans, okra, radishes, onions, broccoli, and carrots. Lettuce is helped by onions, beans, carrots, cucumber, strawberries, broccoli, dill, beets, thyme, and cilantro. ​ ​❌ But lettuce does not like ? celery, parsley, cress, and cabbage. 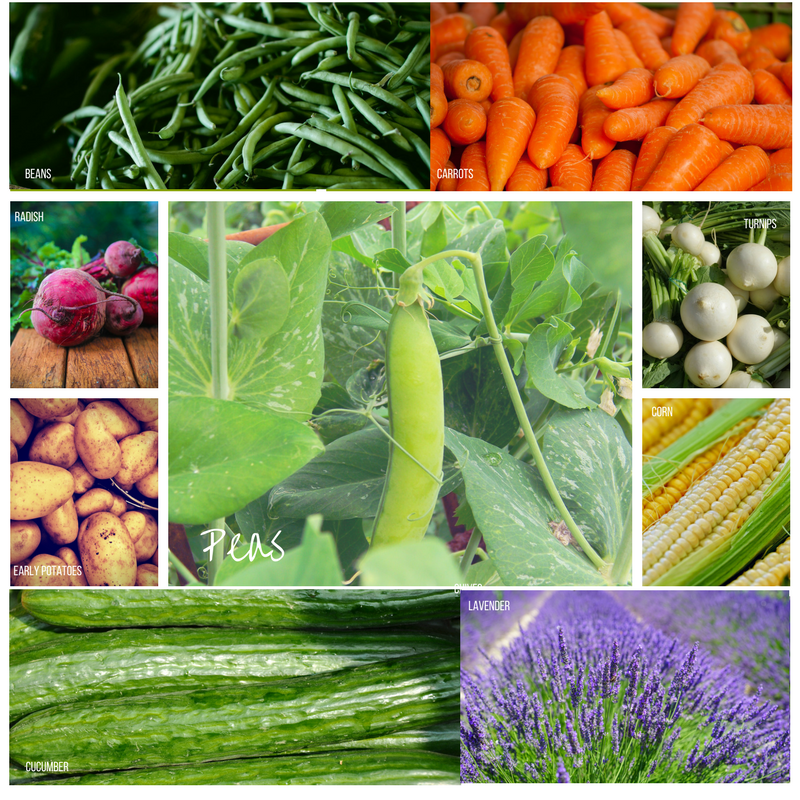 Cucumbers, carrots, beans, corn, radishes, early potatoes, lavender, and turnips are good friends to your peas. ​ ​❌ However, peas do not like ? garlic, onions, leeks, and shallots. 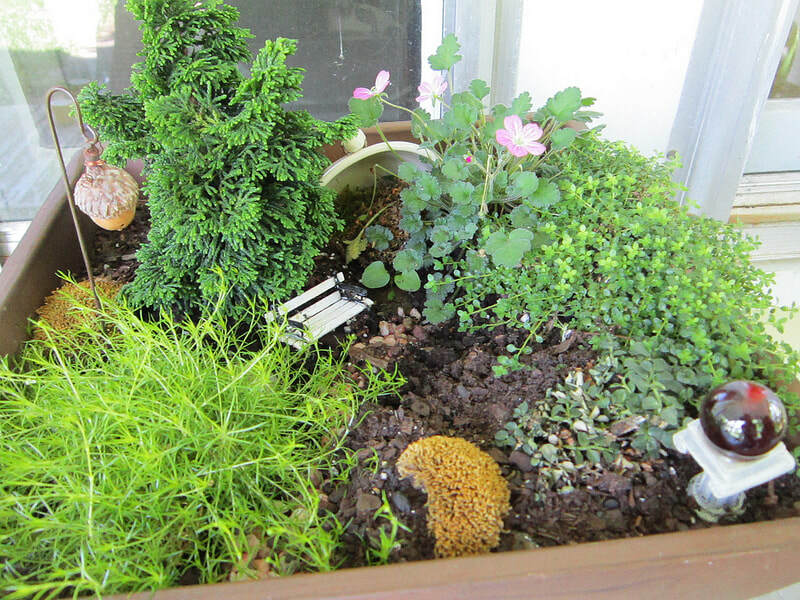 Giving your plants great friends is just one layer in the making of a plentiful garden. If you really want to have success, you'll need to make sure the soil is prepped and giving the right nutrients. Starting your plants in Soft Soil, a blend of premium topsoil & compost, your garden will thrive on the full range of nutrients needed to maintain root health. To repel cucumber beetles, sow cucumber and radish seeds together. Get the most from your cucumbers by planting them with marigolds, beets, garlic, celery, dill, carrots, peas, beans, sunflowers, and radishes. 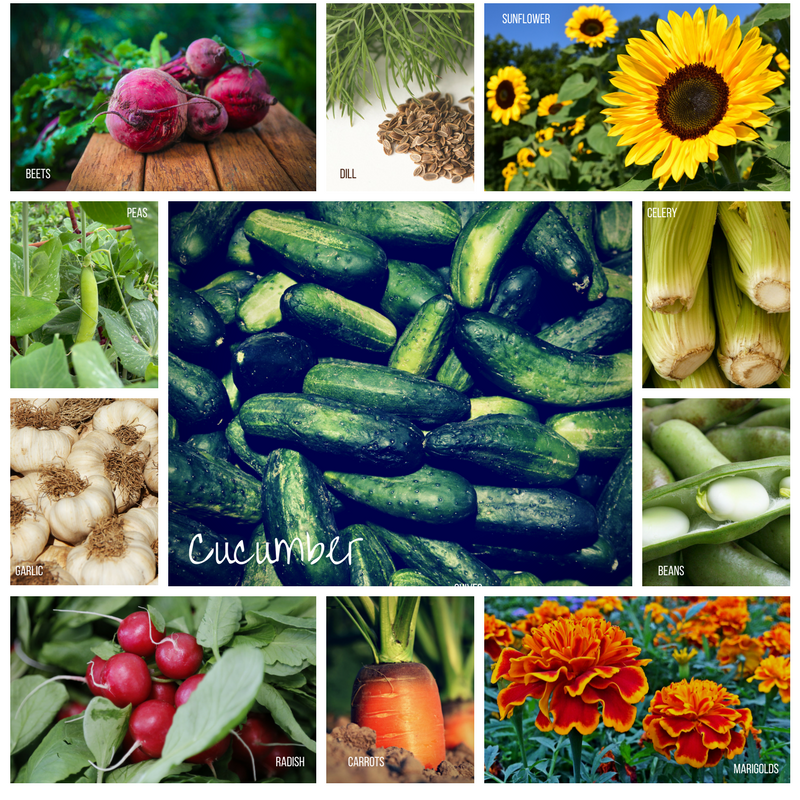 Cucumbers also provide benefits to beans, kohlrabi, and lettuce. Cucumbers and squash spread fast and benefit from being planted in a nutrient-rich soil. Learn how to soften your soil and the benefits and differences in compost in the articles. How Do I Soften My Soil? and ​Are There Differences in Compost and What are They? Our last three have been planted together for hundreds of years so we’ve kept them together. Why not follow the tried and proven process engineered by Native Americans? The broad leaves of pumpkin and squash spread out reducing weeds and holding moisture. Beans ingeniously convert atmospheric nitrogen into a ready-to-use form for it’s plant friends. And corn gives the beans a place to climb. ​Squash is also benefited by marigolds, radishes, and buckwheat which will flower and attract needed insects. Beans are also enhanced by beets, cucumbers, carrots, cauliflower, marigolds, potatoes, rosemary, peppermint, and mustard. Adding if flowers around the borders of your garden and in between can attract pollinators, insects that will eat those that are a nuisance, and add beauty and color to the overall appearance of your garden beds. Watch this great little video to learn why marigolds, buckwheat, lavender, daisies, and hollyhocks are great in your garden. 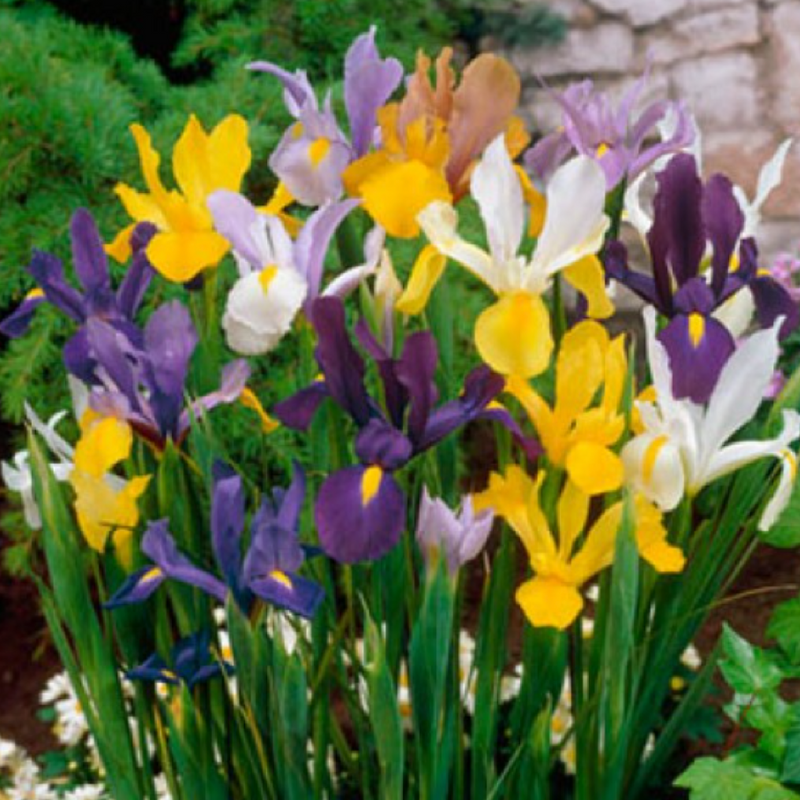 And what some of the best flowers you haven’t even thought of to plant in your garden are. What are your favorite garden combinations?